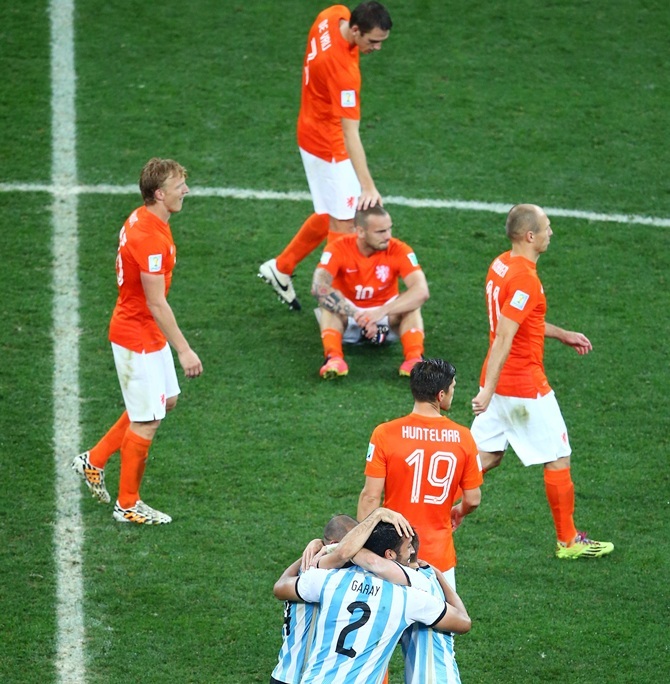 Traditional Dutch frailty in penalty shootouts again proved their Achilles heel when they lost 4-2 on spot-kicks to Argentina after a goalless World Cup semi-final on Wednesday. 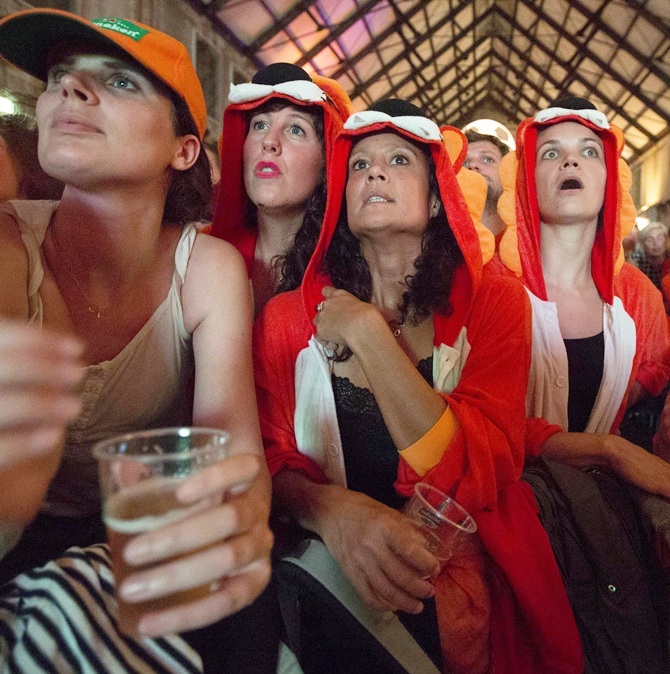 The Dutch media mourned their defeat by saying- "It's over: The Oranje won't go to the World Cup final after penalty drama with Argentina," popular tabloid Algemeen Dagblad said on its website. ‘Oranje defeated’ popular daily broadsheet De Telegraaf said, with a photo showing Argentine goalkeeper Sergio Romero's save against Ron Vlaar, who took the first penalty. Ajax Amsterdam's club coach and former Dutch international Frank de Boer questioned the decision to let defender Ron Vlaar take the first penalty rather than a more experienced player. "Vlaar should not have taken it," he told the NOS public broadcaster. "But that's my only criticism, we can be very proud of the Orange 11," said De Boer, the Netherlands' most-capped outfield player. 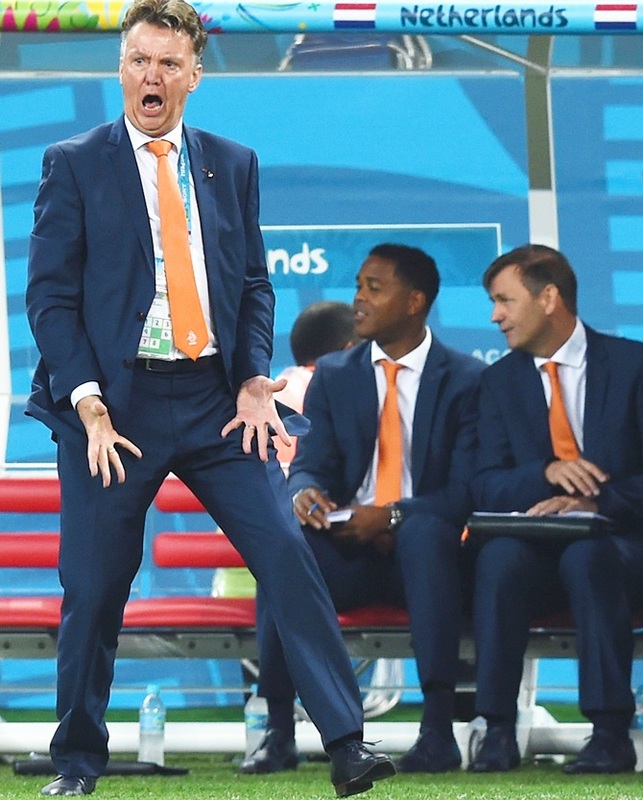 The Netherlands will face Brazil in Saturday's third-fourth place play-off but it is not a match the Dutch want to play, with coach Louis van Gaal saying it was a pointless exercise that "has nothing to do with sports." "I think this match should never be played and I've been saying this for 10 years," Van Gaal said. Some commentators said the loss may prove a blessing in disguise. 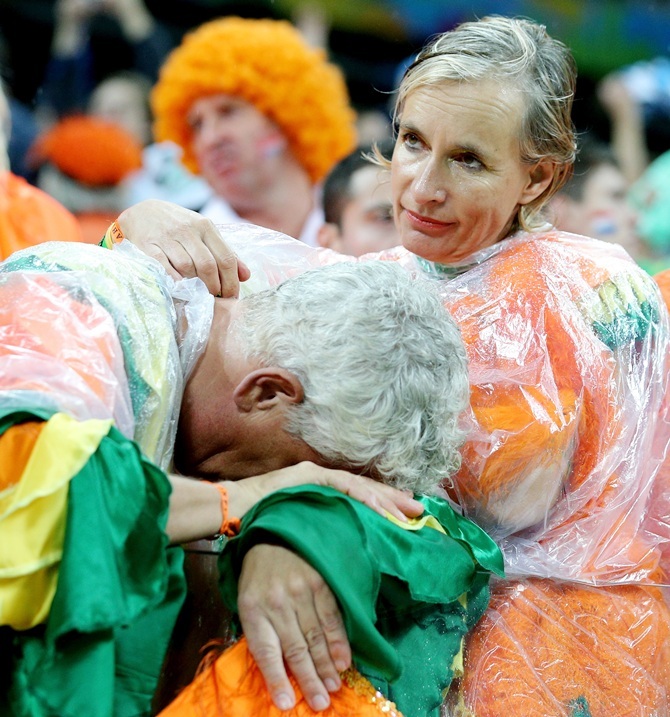 "Perhaps it's better that we don't meet the Germans in the final," one commentator told NOS. Germany pumped five goals within 18 first half minutes to thrash shell-shocked hosts Brazil 7-1 in a truly astonishing one-sided World Cup semi-final in Belo Horizonte.